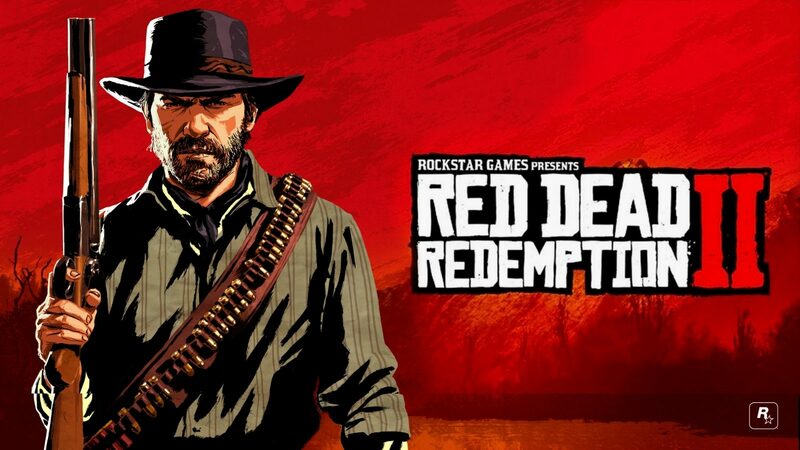 Now that you have understood some of the basics and some ins and outs of the open world of Red Dead Redemption 2. Now it’s time to talk about the tactics that will make you successful in this dog eat dog world. 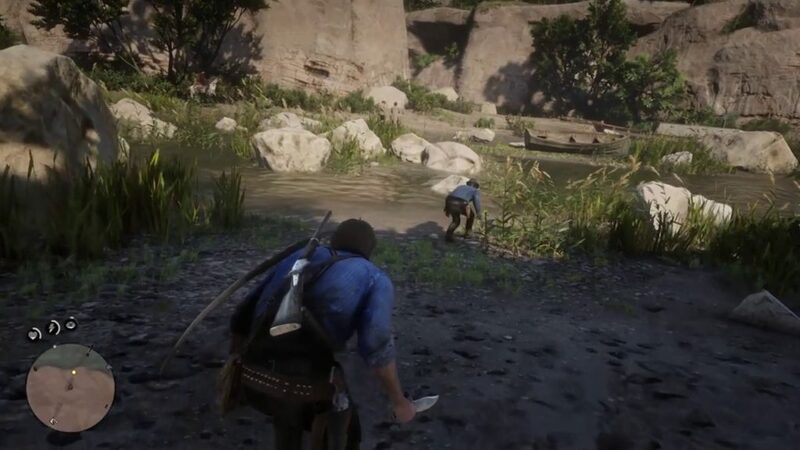 Having a gun is good and a horse to chase enemies or get away from them are all good things but, sometimes a stealthy approach is what you need to not to get unwanted attention. Just get in and get out without making a noise. Sneaking is the topic today and I will try my best to help you explain on how to do it. Sneaking has some major advantages aside from not being noticed: You can overpower any enemy and kill them instantly all the while not alerting anyone around. You are going to need a melee weapon, or a white weapon to accomplish this, e.g. knife, machete etc. If you have one in your weapons’ wheel then and only then try a sneak attack otherwise let the man live or use conventional weapons. Bow and arrows can be used as well, just in case you have them. Scouting the area is a smart thing to do before entering the area unknown. 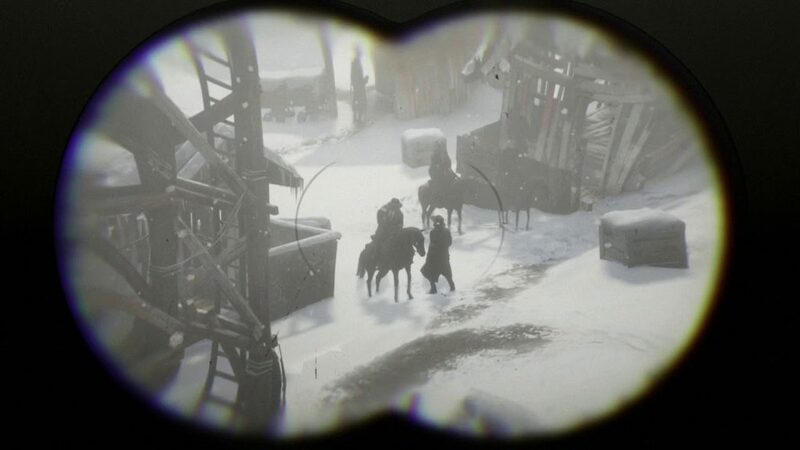 Good thing about red Dead Redemption 2 is that binoculars are always available and you can use them to locate enemies. 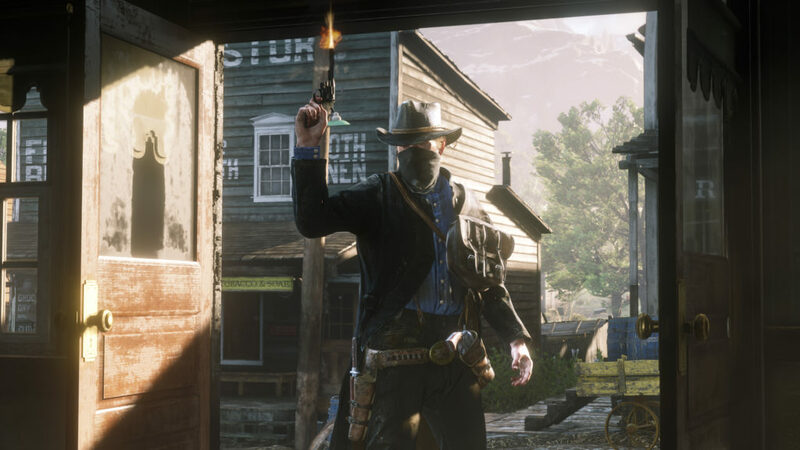 This can always come in handy in case you want to avoid being seen and you don’t necessarily have to face them due to whatever reason, such as no ammo or stringer enemies. 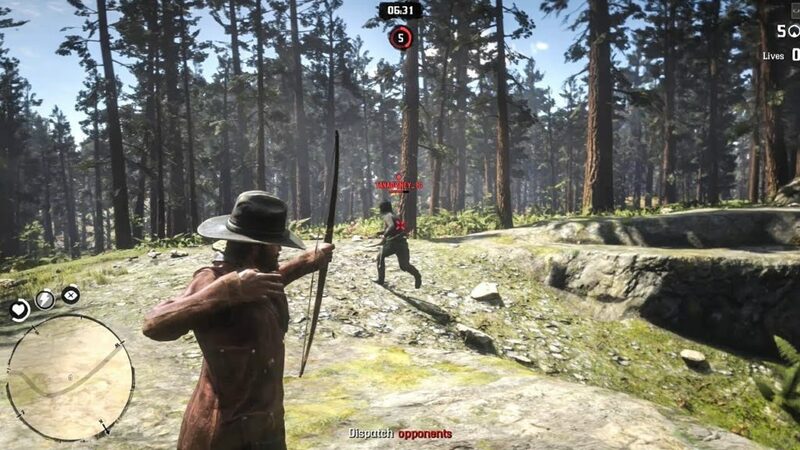 Bow and arrow is one of the best weapons in this game, if not the best. It makes no sound and in some cases, the arrows can be used again. The only thing you need to worry about when it comes to silent killings with the bow and arrows is that make sure to aim for the head otherwise you will have a real mess on your hands. You do have the option to only incapacitate the opponent without killing him, if you are feeling like taking a break. You can also make them surrender during a chase and there is also a warning shot system. 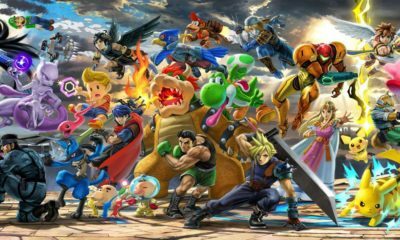 While aiming directly at the opponent, press the up arrow on the D-pad to aim in the air. Press fire following the up arrow and Arhtur will fire a warning shot. You can sneak up and silently incapacitate the enemy without killing them. You can also knock them out in a hand to hand or use the lasso and choke them out. 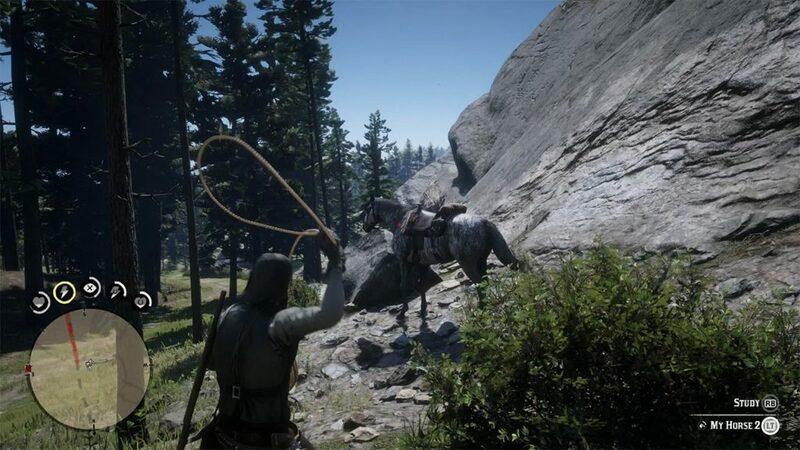 Lasso in particular is more handy when you are chasing someone and there is no end to it, simply toss your lasso on them and pull them down and take them out. Play the game and you will come up with your own methods to take control of a given situation. Thank you for sticking around for the series and there are more tips coming soon.